What does guardianship of an elderly parent mean? In simple terms, guardianship means that a family caregiver who accepts guardianship for an elderly parent agrees to a higher level of responsibility. This responsibility includes making good medical and daily care decisions for an elderly parent. A difficult decision may be made to appoint professional guardians instead of a family guardian because of family conflict and disagreements. The emotional stress of family battles causes permanent damage to relationships with elderly parents. Family disagreements are also counterproductive to the care of an elderly parent. Healthcare and other professionals working with guardians, lack understanding of “what does guardianship of an elderly parent mean?” The responsibility of the guardian is significant because of the legal responsibility to act and advocate for care of an elderly parent. Guardianship is a last resort option that requires a court hearing and confirmation of incapacity by medical providers. Guardianship of an elderly parent means that an individual, a family member or a professional, is appointed by the court to make medical decisions and to manage daily care. When an elderly parent needs a guardian, disagreement about the need for a guardian may exist. The elderly parent may disagree. Disagreement may occur between adult children and other family members. In some situations, the elderly parent admits to needing help. Deciding to proceed with guardianship results in mixed emotions by adult children or a spouse. While the decision is believed to be right, making the decision may feel uncomfortable especially if other family members disagree. The appointment of a guardian is a serious process. Guardianship provides absolute decision making and authority allowing the guardian to make medical decisions and to manage care. Decisions should be made in the best interest of the elderly parent. A guardian is appointed for an elderly parent diagnosed with a cognitive impairment like dementia or Alzheimer’s disease. Brain injuries or other serious health conditions also result in cognitive impairment. Some elderly parents reach a stage in life where health concerns are overwhelming and they are unable to make good decisions about care. In these situations, guardianship is appropriate. Because of cognitive impairment, brain injuries, or other serious health conditions, it becomes difficult for elderly parents to evaluate information and to make good decisions. Interacting with healthcare professionals who are pressed for time or who are impatient with the elderly is challenging even for adult children. Add the challenge of poor hearing, poor vision, not feeling well, or slower thinking and this type of self-advocacy is extremely challenging for elderly parents. Documentation must be submitted with the guardianship petition to the court that substantiates the degree of cognitive impairment and evidence of poor decision making. A medical assessment that may include a neuropsychological assessment is required. Contested, rather than agreed upon, guardianship hearings occur. A contested hearing is when the elderly parent, adult children, or other family member disagree about the need for guardianship. Disagreement may also occur about the proposed guardian. A variety of concerns result in contested hearings. These include parents choosing to appoint a professional because concern exists that an adult child would not be a good choice. Adult children will protest the appointment of family members in favor of a professional because of longstanding relationship issues. In situations where family conflict is the norm, appointing a professional may be the better choice. Contested hearings, depending on the situation, can be costly. Family members opposing the guardianship bear their legal expenses. Legal expenses are also incurred by the elderly parent for whom guardianship is pending. Family members who are appointed guardian may experience day in and day out battles with elderly parents and siblings. 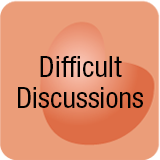 Disagreements occur about how and where care is provided. Money can also be a contentious subject as concern may exist over spending wisely for care. In most situations, when a guardian is appointed, a conservator is also appointed. The responsibility of a conservator is to manage money and property. In family situations, a family member can be appointed as both the guardian and the conservator. When professionals are appointed, the professional cannot serve as both. Having separate professionals appointed allows oversight and a system of checks and balances. A conservator is a person who has responsibilities similar to the guardian, but who manages money and property rather than health and daily living. If funds exist, the guardian has the authority to hire caregiving assistance. This assistance may be a local care manager to coordinate care. Other assistance may include in-home caregivers, adult day care, or different types of therapies. Funds may also pay for assisted living or another type of care community. The benefit of having a conservator is that this individual has a responsibility to manage funds in the best interest of the elderly parent. While family members can disagree with the conservator—assuming the guardian is not also the conservator— having a separate person manage money is a protection for the guardian and the elderly parent. The goal of guardianship and conservatorship is to ensure that funds are spent for the benefit of the elderly parent. Funds are not conserved to guarantee adult children an inheritance. In my twenty plus years of being a professional caregiver, I served as guardian for many of my clients. I met with doctors, nurses, community care, staff, in-home care, home healthcare, and hospice providers who had no idea of the significance of my legal responsibility. Professionals attempted to rush interactions. Some medical providers wanted to make easy decisions rather than take time to investigate and make the right decision. Healthcare professionals are rushed trying t keep up with daily schedules which makes the skills of advocacy a must for all guardians. The difficulties of managing care for multiple patients and keeping family members is difficult for healthcare and caregiving providers. Just keeping up with day-to-day responsibilities can be challenging. Time pressures may result in limited participation in continuing education that supports the care of elderly patients. As a professional guardian, there were situations where I knew more about the disease than the medical professional who wanted me to agree to discontinue medication or deny treatment. Because I was interested in better than average care for my clients, I spent time researching and learning about medical conditions. There were situations where I had the research and the facts to prove that the recommendation the doctor made was faulty and likely to harm my client. In my experience, a high percentage of healthcare professionals view elderly parents as old and undeserving of care. My clients were written off by rehabilitation and nursing home staff because of rigid schedules and the need of my clients for flexibility. This bias is especially true of elderly parents diagnosed with dementia. Guardians are required to make good decisions, not easy decisions. For guardians confident in advocacy skills, disagreeing with healthcare professionals is a comfortable activity. For some family guardians, disagreements are intimidating and conflict is uncomfortable. Many times, I had to explain “what does guardianship of an elderly parent mean” to professionals. I explained my responsibility to be thorough and prudent in decision making in an attempt to gain cooperation and understanding. While the medical professionals did not like my detailed involvement because this required time they may not have had, most understood my legal responsibility after thorough explanations. I bluntly told them that it was me who was accountable to the judge for the results of medical decisions, not them. Many of my elderly clients were no longer able to evaluate information or make medical decisions because of Alzheimer’s disease, a brain injury, or another condition. They were unable to advocate for themselves. When I was appointed it was because the elderly parent’s children could not work together, a family member did not want to serve, or there was no family available locally to serve. An individual appointed guardian has total decision-making power. Decision-making power does not mean the guardian of an elderly parent can do whatever he or she wants. Standards of decision making exist. One of the paths of decision-making is the concept of substituted judgment. Substituted judgment means that the guardian makes the same decision as if the elderly parent was deciding for him or herself. Substituted decision making benefits from having a history with the elderly parent in having discussions about “what I want when or if.” Elderly parents who have a family guardian may still be able to express their wishes about what they would want for care. Guardianship of an elderly parent means that the guardian initiates reasonable and thoughtful actions to follow through with the elderly parent’s wishes for care. These wishes may include staying at home as long as possible. Another parent may look forward to moving to assisted living. Preferences for care differ. The guardian may think an elderly parent wants one thing until the question is asked. Elderly parents also have concerns that are not always expressed to adult children. In situations where it is too late, and the elderly parent cannot express wishes it may be possible to ask another family member like an aunt, uncle, or a friend. The guardian must do whatever necessary to make the right decision for an elderly parent. The roles and responsibilities of caregiving apply to the responsibility of the guardian to manage care for elderly parents. These responsibilities include managing daily care in the home or in a care community. Communicating with medical professionals about care needs. Advocating with service providers. 1 Working to coordinate prescription medications with the insurance company, pharmacy, physician, and a care community if one is involved. 2 Managing in-home caregivers. Hiring an in-home care agency is not an automatic solution. Time to oversee and manage caregivers is required. 3 Placing an elderly parent in a care community also does not guarantee that the care will meet expectations. Before moving an elderly parent, make certain there is a clear understanding of the level of care provided by the community. 4 Advocating with the healthcare system can be challenging. Guardians who lack experience have the responsibility to learn about medical conditions and concerns. Tips and solutions exist for days when caregiving becomes too much. Guardianship and the terminology for guardians and conservators differ by state. In some states, the conservator title means being the conservator of the person (medical) and the estate (money and property). Some states are more advanced with the availability of professional guardians and conservators. Other states have an office of public guardianship that accepts cases for low-income individuals and accepts some private clients. The situation is similar with estate planning, elder law, and probate attorneys. In situations of guardianship, attorneys specializing in this area are invaluable. As the population continues to age, the question of what does guardianship of an elderly parent mean will continue as a discussion. 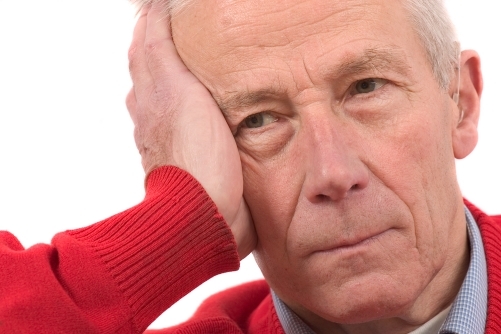 Many individuals over the age of 85 have dementia that is undiagnosed. Elderly parents living alone are at risk if the family is not available to provide support. If you are uncertain about the early signs of dementia, a list of tips exists about signs and the importance of diagnosis. Chronic disease is also increasing. Chronic disease is a diagnosis that is not immediately life-threatening but affects the quality of daily life. Chronic diseases include heart disease, diabetes, asthma and breathing difficulties, cancer, and arthritis. Becoming more aware of the effects of chronic disease is important for guardians as these diseases affect the ability of an elderly parent to remain at home. High contact, high touch is required by guardians to attend medical appointments and to learn about medical treatments. Managing medical care is the primary responsibility of a guardian. For all caregivers, caregiving support is valuable. Caregiving is an unexpected role. Becoming guardian for an elderly parent raises the level of responsibility. If you are a caregiver, you know that the daily responsibilities will increase. That caregiving responsibilities will become more time consuming and complicated. 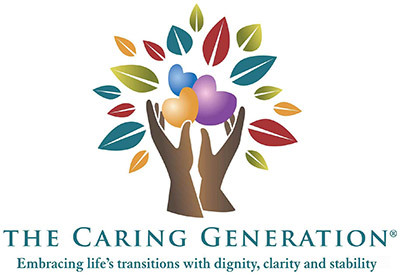 Caregiving support offers solutions for common caregiving problems. Having access to an expert supports confidence in decision making and self-esteem. Caregiving support helps relieve the stress, anxiety, frustration, and overwhelm common in caregiving situations. This website offers support through the library, monthly newsletter, and support groups. Don’t wait. Take the next step to relieving the stress and uncertainty of caregiving. Home > What Does Guardianship of An Elderly Parent Mean?